Cook and drain the ground beef. Add onion and bell pepper, cook until softened. Add pimento cheese and stir until well-blended. 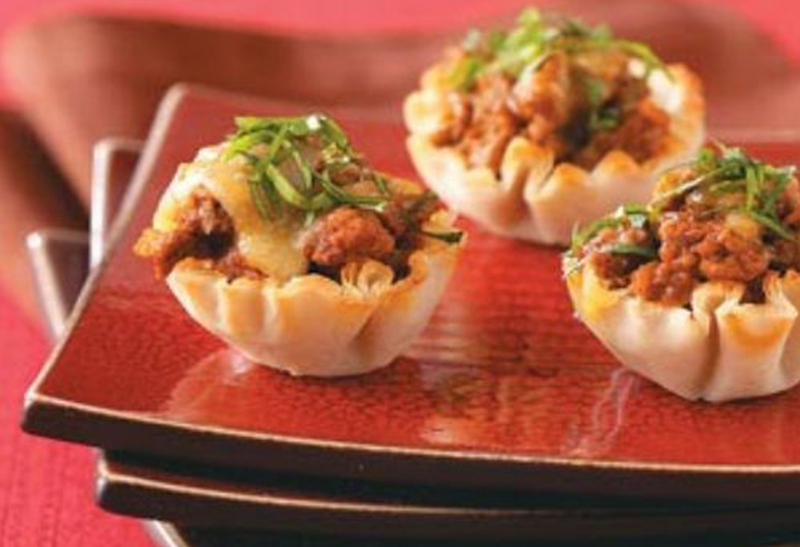 Fill cups with 1 – 1 ½ Tbsp of filling. Place on a cookie sheet and cook 8 – 10 minutes. Top with a dollop of pimento cheese and green onion, if desired.